Inland villages such as Riebeek Kasteel, Malmesbury and Darling are set in wheat fields and vineyards. In late winter/early spring the fields explode into colour as the famous flowers burst into bloom along every road and field. Swathes of yellow, orange, pink and purple as far as the eye can see make for a truly memorable experience. The best time to view this floral display is on a sunny day. Each little village and town has a flower festival in Spring to celebrate the flower display. There are many nature reserves and parks along the West Coast so visitors can enjoy the flowers in pristine conditions. This is truly a sight to behold and one of the main tourist attractions of the West Coast of the Cape. The other major tourist attraction is their seafood with a wide variety of fish, mussels and of course crayfish! Enjoy a memorable traditional West Coast meal at any one of a number of open air beach restaurants where you will be able to sample the local fare line freshly baked bread spread with moskonfuit (a delicious jam made out of the sweet local Hanepoort grapes) fresh fish and crayfish washed down with wines from the local wineries. There are two roads you can take from Cape Town to travel up the West Coast. The first one is the N1 towards Paarl , but take the Malmesbury N7 turnoff before Century City. This road takes you inland to the towns and villages. The coastal road, the R27 runs from Cape Town through Bloubergstrand and then past Yserfontein, Langebaan and other coastal towns and villages. If you are planning a beach wedding at one of our wonderful beachside rustic restaurants then summer would be the best time to plan your wedding. December and January can be a bit windy but February, March and April are all beautiful months when the wind has died down, and the weather is warm. Because of the Mediterranean climate, the chances of rain in summer are not very high as the summers are dry and hot. Most of the venues have a free form Bedouin tent for the comfort of your guests. Ceremonies can be arranged on the beach and of course the photo opportunities on these beaches are endless! Strandkombuis in Langebaan, Bosduifklip and Grootvlei on the Dunes which are both in Lambertsbay and the Sunset Restaurant in Veldrift are all profiled on our site and offer wonderful weddings. If you wish to have your wedding in spring with the flowers as a background or in winter but still a beach style wedding, we have venues like the Blue Bay Lodge in Saldanha or the Paternoster Hotel in Paternoster where your guests will be cosy and warm. For weddings on the wine farms in the area any time of year would work. You can have a summer set up in a marquee or if in winter you need to be a bit cosier, they all have alternative reception areas inside. 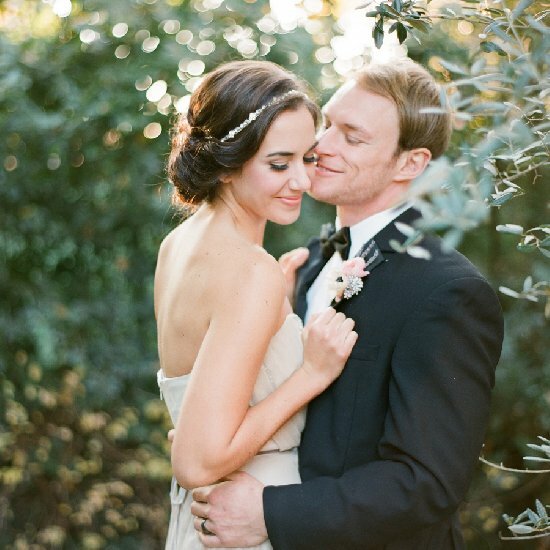 For the olive capital of South Africa, Riebeek Kasteel, which also has gorgeous wine farms, offer stunning weddings. 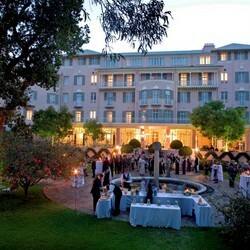 We profile Allesverloren Estate and Delsma Farm for your country wineland wedding venue. Nearer Cape Town on a farm near Malmesbury we have the beautiful Fynbos Estate set in the mountains amongst the vines and wheat lands. You can even have your wedding on a wild life game reserve in Clanwilliam near the famed Cedarberg Mountains. Bushmans Kloof Wilderness Reserve and Spa is the place for this and is perfect for smaller, destination weddings where you and your guests would be treated to an unforgettable five star experience. Have a look at our gorgeous Beach Wedding Venues on the West Coast I am sure you will find your perfect venue! These venues all have accommodation either at the venue or in the near vicinity for your guests in case you are travelling from afar and making a weekend or a few days of it. If you are planning your wedding in summer at one of the beach venues please book far in advance as these venues are very popular and you don’t want to be disappointed. If you can organise your wedding during the week you would probably be able to do so at shorter notice as obviously the weekends book up first. 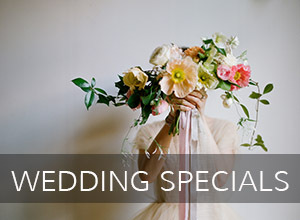 You may even receive a discount for a weekday wedding – no harm in asking! Consider the time of the year you are going to get married. If you are having a wedding during the colder months make sure that you like the venue they use in case the weather is bad. You have to be able to picture having your wedding ceremony and/or reception in this venue. If you are having your wedding in the hot summer months make sure that the venue is airy and cool. Make sure you love the menu. If you are choosing the beach option, obviously you have to love sea food! Make sure you love the wine; after all you are in one of the most interesting and least pretentious wine regions in the country. If your guests are going to be needing accommodation see to it that there are a good range of accommodation options in the area. When you go on site inspections the venues should be able to tell you else turn to Google.